Hyatt Hidden Lakes Reserve — The Land Group, Inc. The Land Group provided civil engineering and landscape architecture services for the creation of Hyatt Hidden Lakes Reserve in Boise, Idaho. 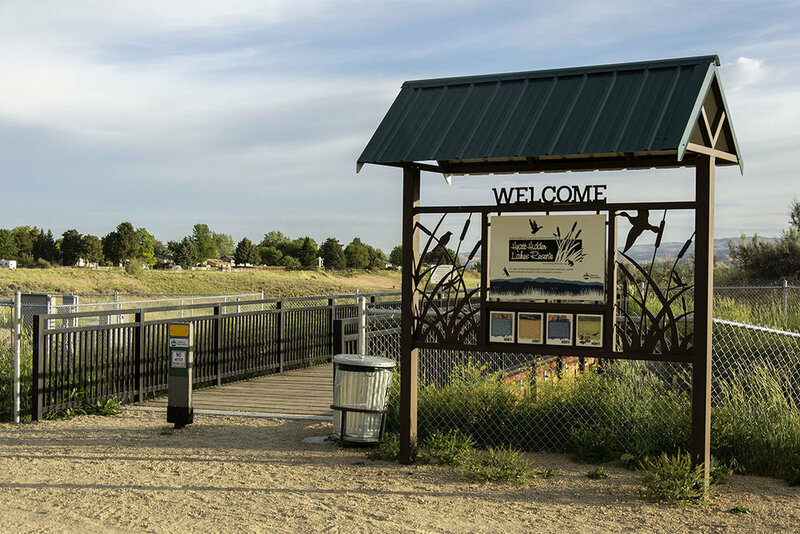 Formerly a gravel pit, the 54 acre site consists of a 28 acre central wetland surrounded by areas managed for upland habitat, preserving and enhancing waterfowl and other wildlife habitats, and additionally providing a valuable recreational and educational resource to this urban area. Storm water from surrounding roadways is directed to the reserve where it is treated using innovative storm water treatment techniques to filter out pollutants, and then detained to create enlarged open water areas, protected habitat islands, and improved riparian areas. Building on a master plan prepared for the reserve in 2000, storm water calculations, conceptual design drawings, and a vision from numerous project stakeholders, The Land Group prepared construction documents and provided construction oversight for the park and storm water treatment facility. The scope of work included site layout, landscape and irrigation design, and mass grading and drainage design. Site improvements include pedestrian pathways, visitor parking lots with porous paving, a restroom building, an access bridge over Settlers Canal, site utilities, gravity irrigation delivery, pressure irrigation system, concrete canal lining, and a canal maintenance access ramp. Additionally, The Land Group designed large scale canal intake turnouts and weir structures to control and divert combined storm water flows from the Ada County Highway District and irrigation overflow from Settlers Canal to a one acre sand filtration system with a pre-treatment forebay. The canal intake and weir structures along with wetlands storage capacity are designed to be controlled and monitored by a SCADA system. Construction was completed in the fall of 2012 after which the new management plans were implemented for the site, including passive recreation through trails accessing wildlife viewing stations, interpretive signs, and public art that help to educate the visitor on both the habitat creation and storm water treatment aspects of the project.